That’s why gamification is great for employee engagement. Using games in meetings or whenever a new product or service is being created is the best option to start developing creativity, both individually and as a team. Often companies are not aware of the potential of this creativity or they don’t know how to motivate their employees to bring new ideas to the table and get involved. Gamification is the application of games in activities that are non-game related. It’s the idea of applying game elements and principles to any situation. The technique can be used in several areas, business included. In this case the goal will be to lead participants (employees) toward specific objectives or behaviors. 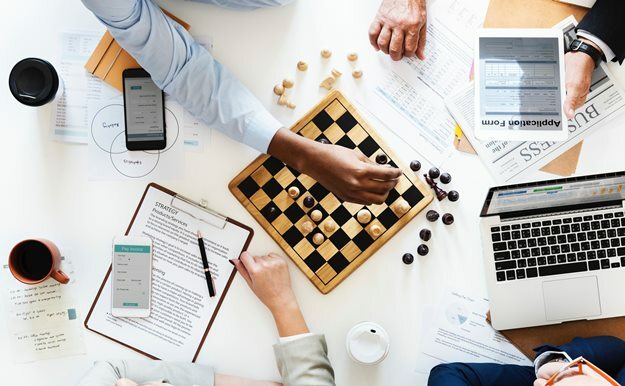 If used correctly, gamification in business can provide companies with significant positive development in productivity and creativity. Thanks to it companies can take advantage of psychology and motivation to improve behaviors in any area. If you want to increase your team’s participation, go ahead and try gamification. It can be used both online and offline. In every game there are short, medium and long-term objectives that are rewarded in points or prizes. These goals play in favor of the motivation of participants as they see their work/game and effort congratulated in a tangible way. This also happen in the workplace; having some kind of extra reward is much more exciting than just your normal salary at the end of the month. Besides, you have to bear in mind the idea of competition. This can healthily encourage participants (or employees) to surpass themselves and be on top of the game. They will be looking for ways to be in “first place,” so to speak. As this technique presents actions as games, it will be fun trying to get better or to achieve a goal. It’s not considered just boring old work, rather a game, and it’s not seen as a sacrifice. It generates greater cooperation between team members and coworkers, and this will improve the working environment globally. You can start the game throughout the company, so everyone feels they are part of the game, no matter in which department they work. Stimulating competition within the company can increase sales or client acquisition by 5% to 10% thanks to gamification techniques. To sum it up, you can apply gamification in business to each indicator, sector or department in your business. Google offices are famous for their multiple leisure spaces. If a company like Google is using it every year and continues growing, that should be a sign, right? With these spaces you will create an atmosphere in the company where employees don’t feel they are solely working, but also having fun. This will encourage them to participate more as they see their bosses take interest in caring for their happiness and success. Be sure to have both quantitative and qualitative objectives and awards in the form of recognition or gifts. So not forget to contextualize it. Tip:Do not tell participants many details in order to generate a certain mystery that provokes that desire to play. Every game needs a setting so that participants can enter a new dimension outside from the everyday office. You will have to create a story, some images that relate to the competition (races, pirates, sports ... ), etc. Avoiding demotivation in case an employee is lagging behind too soon. Having a new game coming soon is encouraging as it gives them new possibilities to improve. There are many options: points that give you a defined status, points that directly give you a reward, a progress bar, etc. Be fun with it and get creative! What is a game without challenges along the way? Challenge is the core element to a fun game, and if a team has a well-defined mission then everything will be easier to cooperate and overcome these challenges. A new methodology is being developed as gamification strategy: Lego serious play. 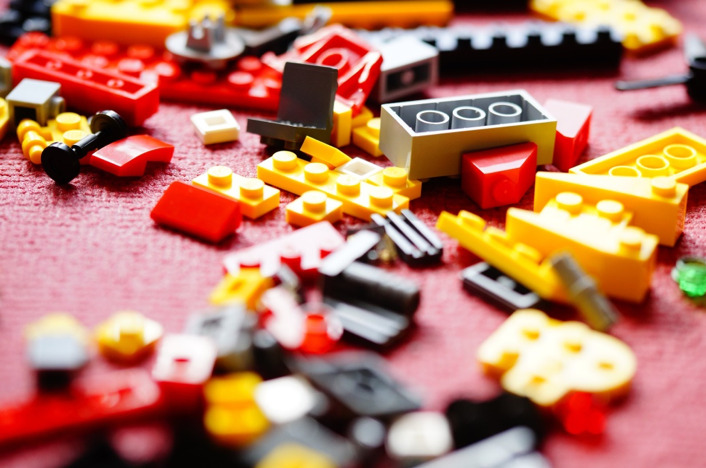 You need to build with Lego and this helps with innovation and creativity. It was very successful in all the cases in which it has been applied. It is a process of encounter, communication and problem solving in which participants are guided through a series of questions of a specific topic. Each participant builds his or her own Lego figure model in response to that series of questions. The models created are the base for the group discussion and knowledge sharing afterwards. This activity promotes creative thinking, encourages participation, and above all, they will be using their hands without pressure and this will let their subconscious work. Their result will be more instinctive and emotional than in any other way. Which companies are using gamification in their strategies? These are just a few examples of companies that have already applied gamification either to improve the overall employee or client experience. If all these large companies are using this methodology, it is because it really works to achieve your goals. No matter how big your business is, you can definitely benefit from incorporating it into your office. How to use gamification as a freelancer? Of course, you can also use gamification as a freelancer, regardless of the sector in which you work. Remember that creativity and imagination is what allows us to differentiate ourselves from our competitors. For example, you can apply gamification to deal with your customers in pre-sales and post-sales. You can apply this strategy through your social media networks, and even in your e-mail marketing campaigns in which you send different challenges, tests or riddles. You can add some kind of reward or prize that encourages them even more to participate in the activity. Remember that human beings work better with some external motivation. How about creating an online championship related to your product, service or sector? You could create a small competition from your website in which there are scores and rewards. Imagine that you are a personal trainer – you could create a competition of video challenges in which the users can upload their content – perhaps a demonstration of their favorite kind of workout – and have votes, creating teams of participation, or even randomly choose which of the participants competes against other participants. There are endless options to apply both online and offline; you just need to use your imagination and creativity. Do not forget how you want to be seen (brand-aligned) and what your target audience is like. Once you know that, creating a gamification strategy will become much simpler. So, what are you waiting for? Apply gamification in your business! I’m sure you will get very positive results. We live in a society in which consumers demand to engage more with brands and companies, so they feel they are part of the overall goal or product. So I wouldn’t think long; it's time to implement a gaming strategy that could work in your business! Best of luck, gamers!